designed to accommodate your life and sense of style, the Bugaboo fox makes outdoor journeys, travelling and shopping trips easy while keeping your little one in perfect comfort. The Bugaboo fox combines thoughtful design and robust, high-quality materials to give you a versatile pushchair that suits your needs and style, while keeping your little one in absolute comfort. With round, modern contours, it has a modular design, so you can truly make it your own – add, swap and replace parts of the stroller for a new look or new baby. Designed to come with you on all your adventures, the fox can handle anything from pavements to off-roading with its large tyres and advanced-all wheel suspension, for a seamless ride that won't wake your sleeping babe. 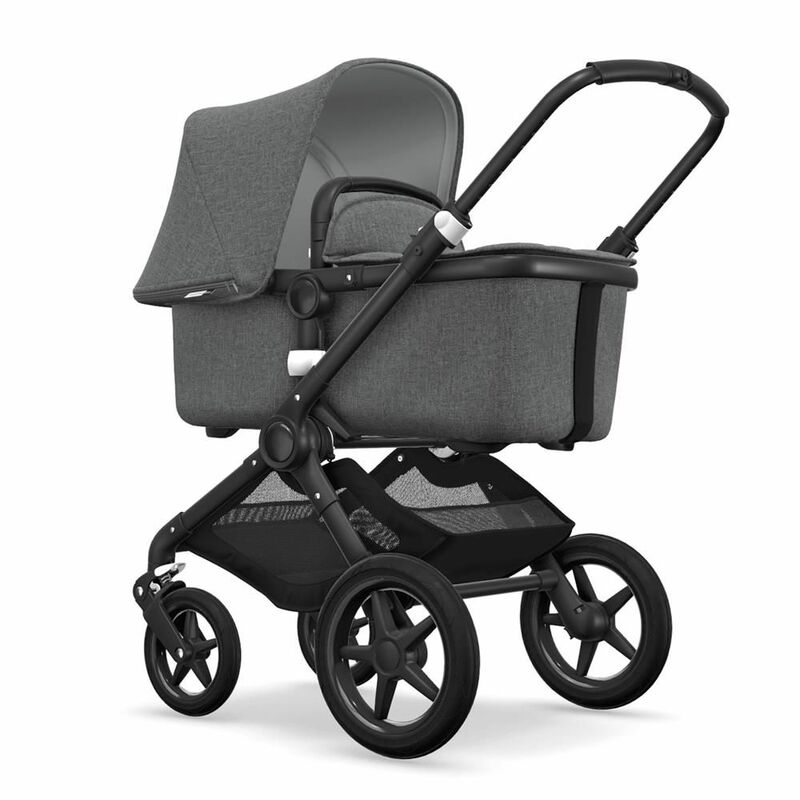 It gives you complete control and a smooth ride with just a light push, meaning you can get where you need to go with minimal effort. There's even an easy-access underseat basket, so you can keep all your essentials within reach. And with an ultralight frame and compact fold, you can easily lift it in and out of your car.